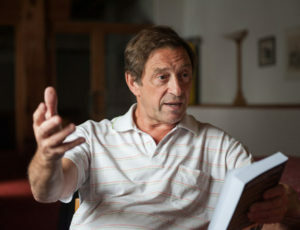 Development economist Guy Standing, of the University of London, has popularized the term “precariat” to describe a global social class whose most salient characteristic is precariousness. Standing blames neoliberal economic policies, globalization, automation, and outsourcing for the rising number of precariats, who, if not completely locked out of the economy, must increasingly compete for temporary employment at low wages—to the point that they can’t pay off student loans or consumer debt, qualify for mortgages, save for retirement, or make plans for the future. Many are essentially one paycheck away from destitution. Standing’s solution is a 29-plank platform of policy changes he calls “the Precariat Charter.” Some are as basic as redefining work to include all productive labor, paid or unpaid, while others are as “revolutionary” as unconditional basic income (UBI), which would pay a basic, livable stipend to every man, woman, and child who is a legal resident of a country. Although to capitalist ears this sounds like a recipe for apathy and a reward for laziness, in the places it has been implemented it has, instead, unleashed creativity. Freed from concerns about basic survival, people have used their unconditional basic income to care for children or aging parents, volunteer for favorite causes, pursue creative work or other passions, and start their own businesses. Recipients have also been able to take low-paying temporary jobs offered by employers—knowing that the wages, added to their basic income, will be adequate to make ends meet. Guaranteed income has boosted productivity and happiness, not dampened it. Standing has a doctorate in economics from the University of Cambridge and a master’s degree in industrial relations from the University of Illinois. His most recent book is Basic Income and How We Can Make It Happen(Penguin Books, 2017). Other books on our current economic crises and how we might create an economy that works for everyone include Basic Income: A Transformative Policy for India, with Sarath Davala, Renana Jhabvala and Soumya Kapoor Mehta (London and New Delhi, Bloomsbury Academic, 2015); The Precariat: The New Dangerous Class (London and New York, Bloomsbury Academic, 2011); A Precariat Charter: From Denizens to Citizens (London and New York, Bloomsbury Academic, 2014), and The Corruption of Capitalism: Why Rentiers Thrive and Work Does Not Pay (Biteback Publishing, 2016). In his 2011 book, Standing argued that if governments fail to address the needs of the precariat class, their societies would witness increasing violence and the rise of far-right politicians—scenarios that appear to be playing out in many countries around the globe, including our own. Goodman: You say that globalization has created a new, worldwide class structure. What do you mean? Standing: We’re undergoing the painful construction of a global market system. The initial phase, which began in the 1980s and continued up to the crash of 2008, was dominated by a certain brand of economics known as neoliberalism. Margaret Thatcher and Ronald Reagan were the quintessential spokespeople for this ideology, which emphasized “liberalized,” or deregulated markets, individualism, competitiveness, and an erstwhile “meritocracy.” Neoliberalism coincided with a huge ongoing technological revolution, particularly in electronics and robotics, combined with the creation of a global labor market, to give rise to this new global class structure, which transcends national class structures. Essentially what we’ve got is a plutocracy. Everybody’s talking about it as the top one percent, but it’s actually much smaller than that—more like the top 0.001 percent. These are the 62 richest people in the world, who own as much as the poorest half of the rest of the world’s population, according to Oxfam’s 2016 annual report. The incomes of the plutocrats keep skyrocketing exponentially—mostly from forms of rent and investment income. Below them is an elite—millionaires and multimillionaires, perhaps five percent of the world’s population, who serve the plutocrats. Far below these two income groups, are two other groups. One I call the salariats, consisting of people with long-term employment security, pensions, paid holidays, medical insurance, and all the trappings of salaried employment. This group has also been gaining an increasing percentage of its income from capital, not from wages, which makes them different from those below them. When I was doing economics many years ago at Cambridge we expected this salaried group to be the overwhelming majority by now, but that hasn’t happened. Only about twenty percent of the population at most is now in salaried stable employment. Alongside the salariats you’ve got another group, the proficians, who are people who don’t necessarily want employment security; they’re happy to freelance in “the gig economy,” going from contract to contract. Many of them make a lot of money from short-term projects as consultants and various types of professionals. However, they have no paid leave or retirement, other than what they provide for themselves. They’re also living a very frenetic lifestyle—always in search of their next gig. Their numbers vary enormously from country to country, but run anywhere from five to ten percent of the population. All of the top four groups are detached from society below them. The next rung down in terms of incomes is the old proletariat, or working class. Essentially it consists of people who had stable, fulltime employment a generation ago—manual jobs that were the mainstay of the trade unions and various big corporations engaged in manufacturing. But this class is shrinking all over the world. It now constitutes maybe ten percent of the working population worldwide. Below them are the precariats, whom I’ll define shortly. And below the precariat is an underclass consisting of people who are out in the streets and losing their lives to social illnesses—alcoholism, drug addiction, petty criminality, and the like. Although their numbers constitute only two-to-five percent of the population, they’re rising. However, it’s important to differentiate the underclass from the precariat because right-wing politicians like to lump them all together. The precariat is not an underclass. It is a rapidly growing class because the global production system is pushing more and more people into it. However, it already constitutes forty to fifty percent of the population. Precariats are subject to unstable labor and unstable living. They are in casual jobs, temporary jobs, part-time jobs with no benefits, and various types of piecework or insecure contracts. But even more important, people in the precariat don’t have an occupational identity—an occupational narrative they can give to their lives. They don’t feel they’re in control, developing their competencies, and building a career. So they’re insecure now, but worse, they’re insecure about the future. Third, people in the precariat have to spend an increasing portion of their time doing work that is not remunerated—such as looking for work, updating their résumés, tailoring their résumés to fit various types of jobs, acquiring additional skill training in the hope that it will land them a better-paying or more stable position, and so on. Thus, they find that their time is increasingly out of control. They can never relax or “take a day off,” and they suffer from what I call a precariatized mind. They don’t know which way to allocate their time optimally because the future is so uncertain. Goodman: How has neoliberalism gotten us here? Standing: The ideology of neoliberalism laid the groundwork for what has happened. Its defining features have been “liberalization,” by which is meant opening up national economies to global competition; individualization, which has meant re-regulation to curb all forms of collective institutions—particularly trade unions and other mechanisms of social solidarity; commodification, which means making everything possible subject to market forces (notably through the privatization of public services); and “fiscal retrenchment,” which has meant lowering taxes on high incomes and capital. When lax financial regulation, easy credit, and other factors resulted in the economic collapse of 2007-8, media focused on the corruption and greed of Wall Street and the financial markets, but not on the structural features of the global market system and the related crises that were fostered by the neoliberalist strategy. When the financial system collapsed, governments could have taken the opportunity to redistribute income—bailing out “Main Street” instead of Wall Street. Instead they rushed to “rescue the banks,” the greatest give-away to the rich the world has ever seen. Of course the give-away came at the expense of taxpayers, generating more government debt. Neoliberalism has also worsened our environmental crisis. Pursuit of economic growth has resulted in nearly complete disregard for the externalities that are exacerbating ecological collapse. In the U.S., the Environmental Protection Agency, national parks, public lands, wildlife protections are all under attack, even though the environment, wildlife, and ecosystems in general are in greater need of protection than ever. Proposals to curb pollution, or to make polluters pay for their degradation of the public commons, are thwarted by commercial interests, who typically cite job creation as the higher priority. Goodman: Before we talk more about that, you mention students graduating from college with enormous debt and few job prospects as belonging to the precariat, but many other population groups are being forced into the precariat also. Please tell us about them. Standing: Many groups have an above-average probability of being in the precariat, including women, the young, migrants, the elderly, the disabled, the formerly incarcerated, etc. Still, it doesn’t mean we can define the precariat by these demographic groups. The growing precariat consists basically of three groups: people from working class families and communities in places like Detroit, or northern England, or Lille, France, whose jobs have evaporated. The jobs have been sent overseas, or assumed by robots or other technology, or broken into part-time jobs that don’t qualify for benefits. This segment of the precariat isn’t highly educated; technology and neoliberalism have overtaken them. Their insecurities are often extreme and they tend to listen to neopopulist, neofascist politicians with a certain charisma, who offer them simplistic solutions—in particular blaming minorities and migrants and various others for “taking” their jobs, being “welfare cheats,” and so on—the sort of hate-filled language we know all too much about these days. Right-wing politicians are playing on the fears and insecurities of this group by demonizing other groups, often migrants. Migrants are a second—and huge—portion of the precariat. Worldwide, we have more migration taking place today than at any time in history. It’s also a different type of migration than we’ve seen in the past. The last upsurge in migration, which was before WWI, was mainly “settlement migration” from the Old World to the New World. People migrated to settle and start a new life. Today much more of the migration is labor circulation. People are moving in all directions seeking work, not necessarily expecting to stay where they’re working, but to return home. Contrary to what some politicians would have you believe, migration is not just from poor countries to rich countries; it’s also between rich countries, and it’s from rich countries to poorer countries. For example, look at all the retirees who migrate to a country where the cost of living is lower so they can stretch their retirement funds. What’s taking place is a very fluid international flow of people. Goodman: And in the United States, migrants would help our supposed Social Security shortfall, if we would legalize them. Standing: Exactly. That’s a well-known feature of the American system: if you want to cap high earners from paying more into Social Security, you need young immigrants to pay in. Of course, every country has problems absorbing migration beyond a certain point. Clearly, you could have a situation where the numbers became very difficult to absorb in the short term. However, the central point is that migrants in general have a high probability of entering the precariat. And once in the precariat, they have a low probability of getting out. Another aspect of migration is that much of it is internal—within countries. The most glaring example is in China, where the government created urban enterprise zones in cities like Shanghai and attracted 200 million or more rural Chinese to work for huge multinationals like Foxconn, which is a contract manufacturer for companies like Apple, IBM, and Hewlett-Packard. But the government wouldn’t give these workers hukou, or residency permits, because that would give them legal access to housing, healthcare, schooling for their children, and other rights of residents. The government basically provided a very low-cost, precariatized workforce to the big multinationals siting factories there. Whether they use the term “precariat” or not, millions of people are recognizing themselves as having a lot in common with other, disparate groups that the world economy has no desirable place for, and they are reengaging in politics. In their reengagement they are turning to some surprising characters. Everybody was extremely surprised in Britain recently when precariat voters jumped for Jeremy Corbin. In the U.S., everyone was surprised with Bernie Sanders. Neither is really a spokesperson for the precariat, but they’re mold-breakers. They’re basically clearing the decks, saying, “Establishment parties and politicians represent old interests and old models of society and we want rid of you.” Of course the powers that be don’t understand it. I’ve spoken to precariat groups in thirty-five countries over the last four or five years and everywhere—Italy, Spain, Poland, Russia, Japan, Australia—people express the same sentiments. For a while—around the time of the Occupy movements and the Arab Spring—there was a rejection of politics because people felt that the choices were all the same. One was as bad as the other. But now the realization is growing that we have to do something besides protest. We have to channel our anger into a new progressive politics. I think we are at a very exciting stage when yes, the sufferings and harm being done within the precariat are enormous and infuriating and dispiriting. But at the same time there is a new energy being expressed, which could usher in a new progressive era. There are reasons to be optimistic. Goodman: Before we talk about an optimistic future, I’d like to talk about another growing segment of the precariat, the criminalized and formerly incarcerated. The U.S. has one of the largest prison populations in the world and people don’t always think of that as a function of economic and government policy, but you do. Standing: In the last thirty years governments have become much more prone to criminalize activities that used to be non-criminal—which has hit low-income people the hardest. 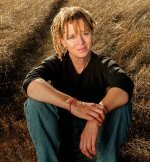 In the U.S. you have millions of people—primarily people of color—criminalized and incarcerated for possession of small quantities of drugs, running numbers, selling bootlegged cigarettes, being delinquent on fine-payments, failing to pay the fees charged by the criminal justice system, overstaying their visas or being in the country illegally, and so on. In the U.S. particularly, the judicial system sends people to prison rather than assigning forms of non-custodial punishment. In addition to an extremely high cost to society, criminalization leaves long-lasting scars. Electronic records mean that potential employers can easily find out if somebody has a criminal past, either in the country or elsewhere, which makes it very difficult for them to get a legal, decent-paying job. Criminalization often robs people of the right to vote—sometimes for life—a form of double jeopardy. Of course, it also affects closely contested elections because a few votes can make a big difference. Criminalizing people has accompanied the trend to make our welfare systems much meaner—which keeps more people in poverty and insecurity where they’re more likely to commit petty crimes like shoplifting in order to survive, pay for their baby, or whatever it might be. Basically, low wages and insecurity lead not only to poverty but to criminalization, which leads to more people being stuck in the precariat. Goodman: You point out that the precariat is not only a creation of the private sector; the public sector is being turned into a precariat zone too. Please elaborate. Standing: Neoliberal ideology believes in reducing government. Margaret Thatcher demonstrated perfectly how this was done: First, cut funding for public services, making it harder for them to operate. Report on the resulting public dissatisfaction, while making the case that private services are better. Then privatize public services “in response” to people’s needs—presumably in the interests of efficiency and better service delivery. The “austerity” response to the 2008 financial crisis redoubled the pressure to cut public services. As a result, public administrators now boast about their ability to do more with less—by turning larger and larger parts of the public sector into zones of insecure labor. Instead of workers enjoying tenured academic, public administration, hospital, or other government service positions, they are increasingly forced to accept temporary, fixed-term contracts. Governments also outsource more and more functions, such as cleaning services, building maintenance, fleet repairs, transport, and catering. They privatize these and convert them to contract labor, where people are much more insecure in terms of continued employment, wages, and benefits. So the public sector has definitely contributed to the growth of the precariat almost as much as the private. Again, the culprit is neoliberal economics. Goodman: If the economy isn’t working for such a large portion of humanity, and it certainly isn’t working for the environment, why do you say that globalization isn’t going to change? Can’t we change it? Standing: Of course we can. That’s why I’ve written The Precariat Charter, setting out twenty-nine policies that would put our economy and our planet on more sustainable footing. But first we have to realize that our politicians have been craven, serving corporate interests rather than common citizens. The U.S. Supreme Court decision in Citizens United was a terrible ruling, giving corporations hugely increased ability to sway and buy politicians. Quite clearly the system is rigged. My argument in The Precariat Charter and The Corruption of Capitalism is basically that the income distribution system of the 20th century has broken down. I don’t think that real wages in the U.S., or the U.K., or any other industrialized economy, will rise by much in the next ten, twenty years. In these circumstances we need to ask: how can we have the benefits of freedom, an open economy, dignified treatment of citizens, and respect for democracy, and at the same time restructure the economic system so we have far less inequality? I won’t describe all twenty-nine proposals in detail, but one is that we must move towards a universal basic income for every legal resident of society. I’ve been proposing this for many years based on my work as a development economist—where unconditional basic income has been transformative in places like India and even Germany. I’m pleased that more and more mainstream economists, political scientists, and philosophers now see why this is a desirable part of a progressive strategy: because we will not get basic security for people in the precariat by relying on wages. And we won’t get security from the conventional welfare systems used in Europe and in the U.S., which are conditional, means-tested, and selective. They don’t benefit many precariats, which are the largest demographic group. We’ve got to understand that basic economic security is a human right for any member of a society. A basic income is part of that policy. Goodman: Why will we not get greater equality based on traditional welfare-type benefits? Standing: One reason is means testing: only people in poverty qualify. And when welfare budgets are cut, the level of poverty required becomes extreme. This very quickly leads to governments also trying to verify whether or not recipients are deserving of benefits—or whether they have character flaws, as in they just don’t want to work. So recipients must now prove their poverty and also their worthiness through satisfying more and more conditions. The consequence has been that an extraordinary number of people who need help can’t get it. Goodman: How would an unconditional basic income work? Standing: Basic income would mean that every legal resident or citizen of a country would receive a modest amount each month that would enable them to have at least the means to buy food and pay their rent. It would be paid individually to each man, each woman and child—each child receiving half the amount of an adult and paid to the mother. On top of basic income you would have needs-based supplements for disabilities or particular costs of living. Other forms of social protection—private insurance or employer benefits—would be additional. The idea is to assure people of basic security in their society. Interestingly, our experience shows that these workers will find ways to contribute once their basic survival needs are met. They will care for their young children, aging parents, and others who need help. They will start their own businesses. They will pursue their art. They will volunteer in causes they are passionate about. That’s one of the differences between unconditional basic income and the paternal, coercive form of benefits typical now. Instead of the government controlling what you do with your benefits—use these benefits to purchase food, but only certain types of food; use these vouchers to pay your rent, but only for certain types of housing—basic income leaves it up to individuals to spend their money as they see fit. It’s a completely different mindset: the government trusts you to act in your own best interest. There’s a short video (Basic income works!) that shows the variety of things recipients of an unconditional basic income in India did with their money. Of course, critics say that it’s unaffordable. That argument is complete nonsense because we gave the banks billions of dollars in quantitative easing for which they did nothing except make a mess of the economy. The U.S. and the U.K. could eliminate corporate subsidies, which total more than 90 billion dollars a year at the federal level in the U.S. alone, and pay an unconditional basic income instead. Ninety billion dollars is 50% more than the federal expenditure on all current poverty-reduction programs. So it’s not a matter of having the funds; it’s a matter of shifting expenditures from gifts to the rich and corporations to paying a basic income so that people have a place in the society. A third argument, which is sometimes put by trade unions, is that basic income would make wages fall. The reality is that if people have a basic unconditional income they bargain more rationally. If I don’t want to take a lousy job because the pay is too low, I don’t have to do it for mere survival. It’s actually our present system—workfare—that lowers wages because it coerces people to accept low-paying jobs and training schemes that don’t lead anywhere. Workfare is basically a taxpayer-funded gift to businesses and has a terribly negative effect on both the persons employed and on the prevailing wages of other workers. The whole system we’ve got at the moment is dysfunctional, inefficient, and inequitable. Moving towards a basic income is a much more rational, equitable, easy-to-administer system of income distribution, which is much more consistent with a flexible, open economic system. Goodman: And you haven’t even suggested shifting a portion of our obscene spending on the military to pay for unconditional basic income. Goodman: Our current economic system is also pushing the natural world to the brink. What does A Precariat Charter have to say about environmental sustainability? Standing: One of the almost criminal aspects of 20th century economics was to make all forms of work that are not paid labor disappear from economic accounting. There is a vast amount of work done that is not remunerated and we actually need to encourage more of it: caring for one another, caring for the commons, and caring for the community. These are all reproductive activities in the broadest sense of that term. The Precariat Charter proposes reviving the “commons,” which are zones of shared public space. We need strategies that diminish the competitive tendencies to seize something and use it as a resource. We presently measure growth—the so-called health of our economy—in how fast we’re using up resources. That’s lunacy. In actual fact we’re depleting the commons and robbing ourselves of a future. We need to place a much higher value on preserving resources, preserving the commons—and even preserving our social structures. We need much less emphasis on financial growth, which a totally false and unbalanced way to run society. It’s interesting that wherever I talk to precariat groups I don’t need to convince them we have to make our ecological challenges central to any economy. We also need a way of slowing down the speed of transactions—the rate of change—in our societies. We need a “slow time” movement as well as a slow food movement. We need a greater sense of control of our time, so we don’t feel that paid labor is the only justifiable activity of human beings. Work of other forms is actually more important and should be given just as much respect as the pursuit of growth, per se, which too often is focused on producing more “goods” that are often actually “bads.” Our whole way of thinking has to change. Goodman: Do you recommend any specific strategies to protect the commons? Standing: We have to give them much greater attention in political discourse. We have to make a priority of rescuing and preserving public land and preventing industries like fracking and mining from taking place on them. One strategy is to heavily tax those who would deplete the commons, so that corporations can no longer ignore the social costs—including pollution, erosion, habitat destruction, species loss, noise, and opportunity costs—they’re imposing. We don’t have control of the fracking industry, which is now the latest to deplete the commons, including water and air. We also need to reform policies that give corporate interests the ability to pollute and get away with it and all of these so-called trade investment pacts, including the Trans-Pacific Partnership, that have been disgracefully biased towards corporate interests. Unfortunately, ordinary citizens are painfully unaware of what’s gone into those treaties—and that’s by design. My hope is that journals like yours give attention to them. We have over three thousand trade and investment treaties, which are hardly ever discussed and which are all weighted very heavily towards private corporate interests and against ordinary citizens. It’s a shameful aspect of neoliberalism that, through these treaties, they’ve constructed this global institutional architecture, which ignores the commons, human rights, indigenous rights, and precariat issues. All of these things need to be exposed so that we can mobilize to oppose them more effectively. Goodman: Will you please summarize the other salient features of the Precariat Charter? Standing: Many of the articles in the charter address institutional changes we need, including the need to de-commodify education. Our view of education has devolved from the lofty purpose of giving people an historical and cultural context in which to understand themselves and their fellow citizens—as well as to stimulate curiosity, ethical values, and creativity—to a profit-oriented industry churning out cogs for the industrial machine. I go so far as to call modern education a fraud, because it is sold as the means to a job, but the jobs are not available for all who are being trained for them. A related article addresses the need to regulate student loans and payday loans, which have become poverty traps for millions. Article 29 addresses the need to strengthen deliberative democracy—which means a more open, transparent, and deliberative politics based on public participation in discussion of the issues, rather than on pundits providing soundbites, manipulation, and post-truth assertions that have no basis in fact. Neoliberalism has achieved the commodification of politics, along with everything else, and this is a trend that must be reversed. Politics is too important to leave to the elites, yet it has become so ugly and corrupted very few who are motivated by public welfare, rather than greed for power, want to have anything to do with it. In the last two U.S. presidential elections less than 60 percent of the electorate voted, and just over half of those were enough to carry the election. With over three million “felons” and others denied a vote altogether, less than 30 percent of the population carries an election. In Germany, too, only a third of the electorate voted for Chancellor Merkel in the 2013 general election. There are many reasons for this, but some points are worth mentioning. If the “costs” of voting—the difficulty, inconvenience, etc.—exceed the expected return, it is rational not to vote and let others decide the outcome of an election. This rationale grows stronger if the perceived differences between the candidates and parties are small. This has been the trend in the last several decades, but the precariat may change all that, which would be a good thing for democracy. The more precariats are involved in politics, the more ecological and social justice issues will prevail because these are the issues that affect them.